Outdoor adventure clothing is a very specific niche of clothing. It is designed to last longer and should ideally be lightweight as well as waterproof. Different clothing lines are venturing towards new technologies to get you the perfect clothing line that you can wear on your next adventure of hiking or camping. However, if you are a true nature lover, then you would want sustainable or eco-friendly clothing to wear as well. A lot of outdoor clothing items are ironically not made from environmentally friendly options. This is ironic because they are designed to expose you to the best of what nature has to offer and yet are made using ways that harm nature at the end of the day. From the use of chemical treatments and toxic dyes to excessive use of water in production, many clothing isn’t manufactured in the most optimum fashion possible. Outdoor clothing needs to be lightweight, durable, quick-drying, and odor-resistant, which is why many companies use plastic byproducts such as nylon or polyester. These items can take almost two centuries to biodegrade, which is why we need to invest in more sustainable clothing for hiking and camping. Here are some types of sustainable clothing that you can buy for your next adventure. 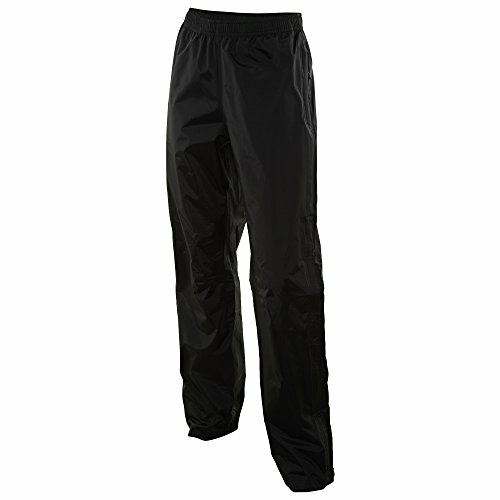 You need a good pair of pants if you are planning on going on a hiking trail or camping retreat. They need to be durable and reliable in order to ensure that you can have a comfortable outdoor experience. Vaude Tekoa pants are made from 95% recycled polyamide, which means it is a really sustainable brand. They produce hard-wearing mountain pants that will ensure you have a great time on your adventure hiking up to a nice view. They have a stretch fabric that doesn’t tear easily, which comes in handy on long trails. They also have plenty of pockets, which make it perfect for campers and hikers. You need all the extra space to store your small knick-knacks so that you don’t have an issue while camping. They are really well-designed pants with articulated knees that allow you to have a good time outdoors. Even the buttons, zips, and fabric need to be according to the high standards that Vaude Tekoa has set for its clothing. They are a really great eco-friendly option that you can choose for your next hiking trail. Patagonia Torrentshell Pants are the perfect sustainable and eco-friendly outdoor clothing that you need for the hiking or camping adventure you are about to embark on. They have continued to innovate new ways to ensure that you are comfortable on your outdoor exertion while ensuring they make a practical and sustainable product. 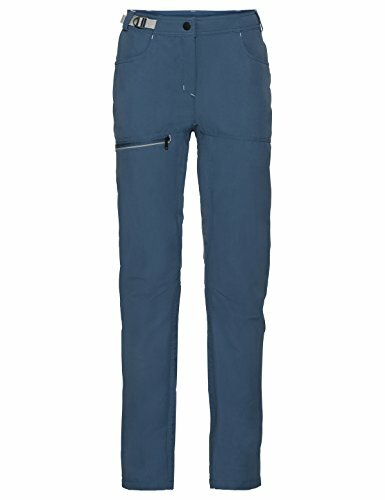 The Torrentshell Pants are made from complete recycled Rip-stop nylon material which is affordable and high performing. It is robust and durable, which is the sort of clothing you need while hiking. The pants also have an H2No shell membrane. This enhances their ability to resist abosrbing water. It also makes the pants more breathable, allowing the moisture to evaporate so that you can remain cool. A durable pair of socks can give you the comfort and warmth you need to make it to the end of the hiking trail. They will provide ample cushioning so that you don’t get sore feet or develop blisters. This is why it is important to find a good pair of sustainable hiking or camping socks. 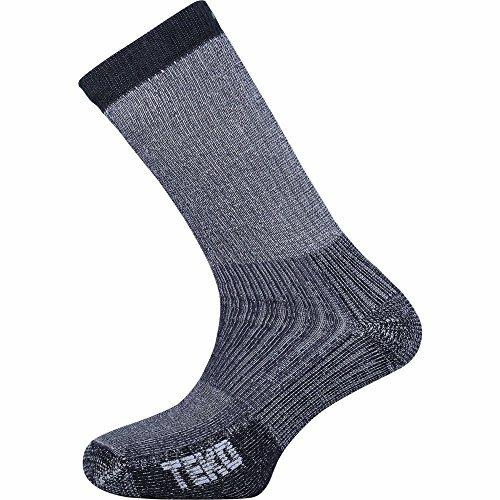 Teko has a Merino wool hiking sock collection made in a really eco-friendly way. The merino fiber in the sock regulates the temperature which allows easy hiking in cold or moderate conditions. They keep you warm and dry for the whole day, which ensures that you can focus on enjoying the hike. The socks are made from a blend of really long-lasting fabric, which decreases chances of tears appearing in the socks. This actually ensures you don’t have to spend a lot of money buying new socks again and again. The Teko sock is also seamless which prevents bunching or slipping. This ensures you are comfortable even on multi-day hikes. The Merino wool is an odor-resistant and anti-microbial fabric that takes the moisture away from your skin. It does this by using advanced wicking technology that keeps you dry and comfortable even on the longest hiking trails. The socks also have a medium cushioning effect which decreases the amount of impact felt while walking. This decreases the likelihood of blisters and sore feet. The socks have an Achilles heel support as well which ensures that you won’t accidentally twist your ankle. The Teko socks are made blended with recycled polyester and polyamide which increases their stretch and durability. The polyester is actually made from plastic from drink bottle waste. The polyamide is made by recycling commercial fishing nets. Teko has chlorine-free production system and uses no toxic dyes. The factor and offices of Teko are also powered by renewable energy. This makes their product collection the greenest in the world. Jackets keep your warm and dry while you are hiking. They give you the protection you need to enjoy the outdoors without letting the weather put a damper on your experience. The Outdry Ex ECO Tech Jacket by Columbia has been hailed as the best waterproof jacket in the market but many experts. During hiking or camping, you can encounter streams, rivers, and even stormy rains. In such extreme conditions, a waterproof jacket can do wonders for your whole trip. If you get too wet or stay in wet clothing, it can actually result in you falling sick, which is not something you need while on a hike. In such extreme conditions, a waterproof jacket can do wonders for your whole trip. If you get too wet or stay in wet clothing, it can actually result in you falling sick, which is not something you need while on a hike. The jacket is made with a breathable waterproof membrane of the outside. This ensures that you don’t feel the dampness even for a second. The level of reliability of the jacket is enhanced by the attached adjustable storm hood that protects your head and face from the water. It also keeps the cold weather at bay so that you don’t feel chilly and prevents the water from dribbling down your back. Then fully seam-sealed contraction ensures low risk of tear and leaks. The bonded hem and cuffs also protect your arms. They have an adjustable fit which ensures that you can wear it according to your preferences or the weather. The external seam tapes ensure that you stay warm and dry. It also has hand pocket zips and central zips that have been treated with water repellent technology called PU coats. This ensures that the water doesn’t slip through the zips as well. The pockets are sealed with these zips so that your belongings stay dry, which means you won’t have to worry about keeping your phone dry at all. Many jackets have a problem with airflow and ventilation since they insulate the material too much. The underarm venting in the Columbia jacket increases the breathability of the clothing item. The breathable lining ensures that moisture and sweat are drawn away from the skin and moves outside. This keeps you comfortable and cool even on the hottest days since the sweat has room to evaporate. The jacket is made from 100% recycled materials. This helps keep waste during manufacturing to the minimum. The Weatherproof Women’s Hooded Polar Jacket is made from fleece. Fleece is a man-made material that is often used to make hiking clothing like jackets, hats, and coats. It is 100% synthetic and made from plastic rather than using sheep’s coat. It still has a really nice, fuzzy texture that makes it comfortable and warm. It is the perfect addition to your hiking or camping wardrobe since it provides great protection against harsh conditions. This is sustainable clothing that will ensure that you are protecting the environment and not encouraging bad pastor and agricultural practices. This minimizes your carbon footprint on the world, while also being perfectly comfortable and warm. Some people prefer sweaters to jackets. They are often cozier and provide ample protection against harsh weather conditions. They come in all sorts of unique styles and designs as well. The Patagonia Down Sweater is a high-quality jacket that is an essential part of every person’s wardrobe who loves to explore the outdoors. The affordable prices and cozy-looking exterior may be enough to sway you, but it has many more properties that contribute to its amazing reputation. The jacket has been certified by NSF International since it follows the Advanced Global Traceable Down standards. The certification means that unlike other down brands, it uses goose feathers from no live-plucking farms. This ensures animal welfare standards are followed in the making of this jacket. This creates an 800-fill power level of coziness, which will keep you comfortable and warm along the toughest hiking trails. The coziness of the sweater is created by the 100% recycled polyester shell. This shell is durable and robust since it is made from rip-stop fabrics. It is also windproof, which protects you from any bad weather. It has a DRW finish which is a durable water repellent that keeps the water away from your body. The jacket is also really stylish. It has a contoured fit with a long length hem, which looks really great on anyone. The narrow quilt lines of the side panels also make the jacket look really aesthetically pleasing. The Vislon zipper in the center-front has a really unique zipper garage at the chin which protects your neck from cold and wind. The wicking interior will ensure, though, that internal moisture is removed from the body. 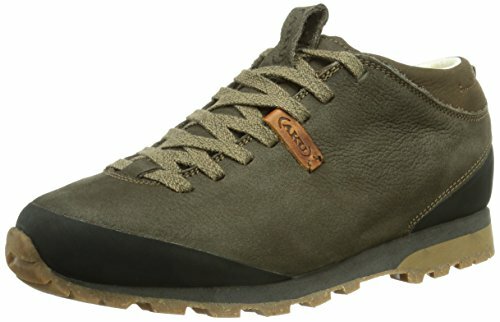 How can you go hiking without a good pair of shoes? Shoes need to be well-built to ensure that you don’t feel overwhelmed by the length of the hike. They need to be comfortable enough to provide ample cushioning and sturdy enough to last even on multi-day hiking trails. The AKU Bellamont Plus Shoe are the best shoes that you can wear while hiking or camping. They are designed with sustainable materials in every aspect of production from laces to soles. The leather upper on the shoe is tanned through green chrome-free practices which ensure that no harm comes to the air or land. The outsole and midsole are both made from recyclable materials. 99% of materials used to make the shoe are sourced from local sources, which ensure that the no unnecessary energy or shipping is wasted. The shoes are also really lightweight at 470g, which ensures that you will be reducing your carbon footprint by hiking in these shoes. If you are committed to green or eco-friendly options, then this is the most sustainable footwear that you can get. Just because it boasts eco-friendly manufacturing, doesn’t mean that it compromises on comfort at all. The soft microfiber footbed is really soft to touch and feels incredible to wear. The full-grain leather lining is comfortable, which will keep your comfortable one even the longest hikes. This hiking shoe was the first shoe to get the Environmental Product Declaration (EPD) certification. This certification is only awarded to those products have been assessed and measured at every stage of the production process in the most careful manner. You can be assured that everything from the production, raw materials, and environmental impact at the end of the shoes’ life has been taken care of. These high-quality shoes can go through the ringer without disappointing you in the slightest. Hikers and campers need a lightweight, cool shirt to wear inside while they are exploring treks. The shirt needs to be made from a light material so that they don’t heat up and should control sweat as well. Patagonia Men’s Capilene Lightweight Crew is made with 37-100% recycled polyester and has been sewn under guidelines by Fair Trade Certified™. 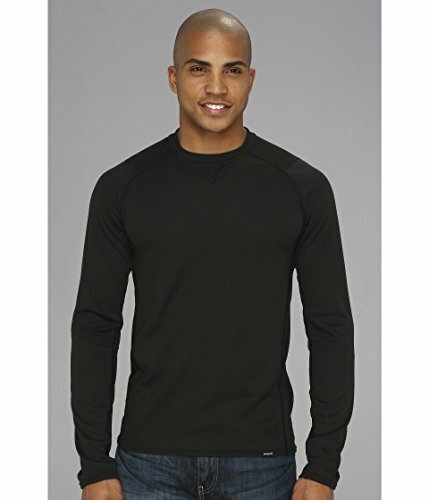 The shirt has a high performance knit and set-in sleeves to enhance movement while you are hiking. The fabric is designed to dry fast since it naturally wicks moisture away from the skin. This allows maximum performance and movement. The slight drop tail is designed to provide a better fit to limit friction and blisters. The shirt’s material also controls odor, which is perfect for hiking since you don’t want to trek through hard conditions and end up stinking. Adidas partnered with Parley and designed a whole collection of eco-friendly hiking clothing. It is made from a blend of 61% recycled polyester, 38% nylon, and 1% elastane seamless materials. Parley is a venture that raises awareness for ocean preservation and fights plastic waste on beaches. To save further plastic pollution and waste, this collection was designed to provide outdoor lovers with ethical clothing. 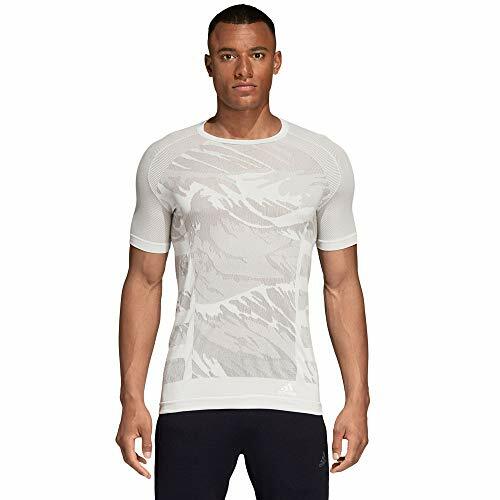 The shirt has reflective details that enhance the visibility of the clothing in low-light conditions. This makes it perfect for campers and hikers who would be in far-off areas without much light. The seamless knit reduces discomfort and risk of chafing so that you can hike all day long without issues. The quick evaporation will also keep you cool and dry. The material is really soft and smooth, which makes this shirt great for outdoor conditions. You need a sturdy pair of gloves to protect your hands from cuts or wounds while traveling. Gloves are a must-have while traveling through woods and up mountains since you will find yourself supporting yourself with your palms quite a lot. 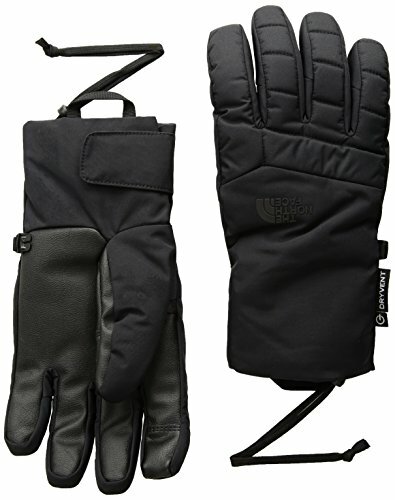 If you are planning a hike in colder regions, then The North Face Youth Guardian Etip Glove is perfect for you. They are made from synthetic leather and provide heat and comfort to wearers. They have a waterproof dry ventilation system that allows superior insulation. They are also touch screen friendly, which means you don’t have to take them off to check the maps while trekking. They are versatile, breathable and perfectly insulated. The 5 Dimensional Fit™ makes sure that you have a great consistent fit. If you plan on taking them off, rest assured you won’t drop or lose them either; they have removable wrist leashes that keep them secure. 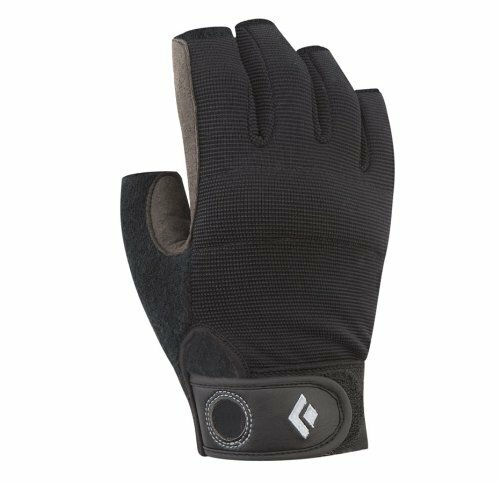 Black Diamond Crag Half-Finger Climbing Gloves are made from a breathable stretch mesh fabric. This ensures that your hands remain dry and don’t blister. They are made from synthetic leather on the fingers and palm area, which protects the hand from cuts or wounds. The gloves allow free movement of the fingers, which provides dexterity while climbing or hiking. 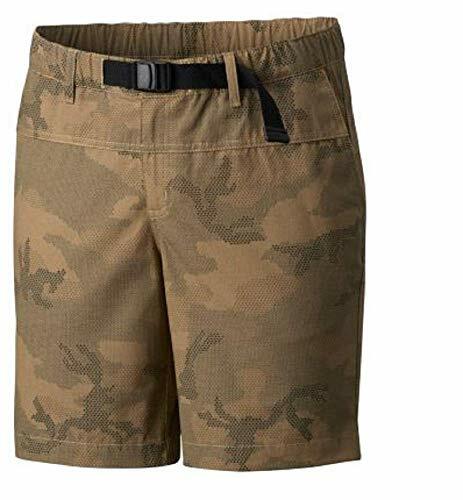 North Face ensures a lifetime warranty for these shorts since they are designed to last. They are made from durable materials that don’t tear easily. 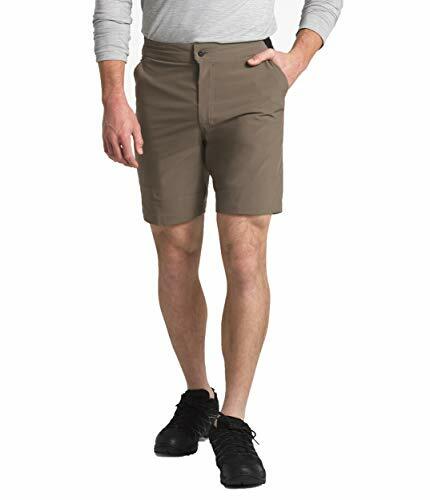 The lightweight shorts are comfortable which enhances performance for hikers and campers. The shorts come with a zippered pocket on the right leg that allows you to store all your small knick-knacks with ease. It enhances performance and mobility with the gusseted crotch. This means that the seamless design will not cause blisters or chaffing. The Columbia Women’s Shellrock Springs Shorts have a great body-skimming fit design which doesn’t get in the way. They are made with advanced stain and water repellent technology which will ensure that you stay clean and dry even after the longest hiking trails. It also provides UPF sun protection so that you don’t get any sun burns. They come with front slant pockets, as well as back Velcro patch pockets; this is perfect since hikers and campers need the space to carry their items. If you love hiking or camping, then you are surely a nature-lover as well. If so, then you must do everything in your power to protect the environment and choose sustainable clothing for camping and hiking. Experience nature the best way possible, by being comfortable and minimizing your carbon footprint. It can be really hard to keep going with rain or harsh sunlight hitting your face. The trucker cap can keep the extra UV light away and give your protection from the cold as well. Caps are some of the most easily worn out, damaged and lost outfit items, just like socks. This is why manufacturers often make them with cheap polyester that takes years and years to biodegrade. It is very hard to find a Trucker cap that is eco-friendly and affordable at the same time, but Econscious has managed to accomplish the impossible. Their caps come in many different styles and colors, so you can choose one that you like. They are made from a blend of organic cotton which has been certified and recycled polyester. 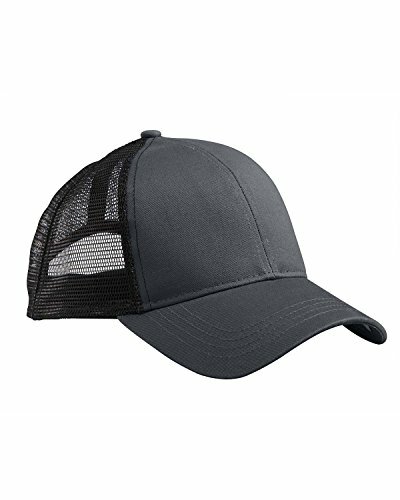 This gives them great durability so that you can wear a reliable cap. They also have a mesh on the back to increase breathability and ventilation. Toques hats are preferred by many hikers and campers who are about to face some really cold and harsh conditions. They provide the perfect amount of warmth to the ears and neck that you need to survive in cold regions. Alpaca wool is known as one of the most luxurious and soft fibers in the world. It has a unique luster, lightness, and softness that make it stand out. The material is warm and durable, which is the perfect combination for any hiker or camper. 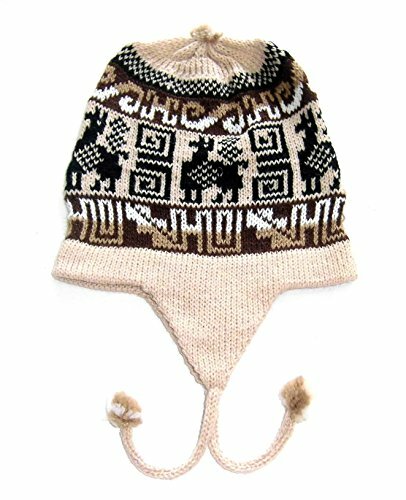 Alpaca is a specialty fiber that is produced in small regions of the world. Alpakaandmore is also famous for their efforts to contribute to the sustainable development of man indigenous communities in Peru. They support fair trading conditions and protect the rights of their workers and producers of the Alpaca wool.